Description: Examined technological aspects of input and selection of vocal signal of user in the systems of authentification. The use of two microphones is analysed for registration of vocal signal of user, and also squaring chart of digital treatment of materials of registration. Possibilities of adaptive suppression of mixing signals are appraised. Faizulaeva, O.N. 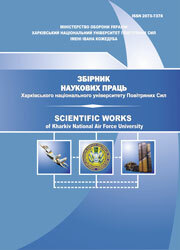 (2013), “Tekhnologiia vvoda i vydeleniia golosovogo signala polzovatelia sistemakh autentifikatsii” [Technology of input and selection of vocal signal of user is in the systems of authentification], Scientific Works of Kharkiv National Air Force University, Vol. 4(37), pp. 137-143.